Jurassic World director Colin Trevorrow has spoken to IGN about the upcoming Jurassic Park film. He reveals the film is being shot in 35mm and 65mm and that it will be in 2 to 1 ratio. Actor BD Wong will be returning as Dr. Henry Wu who appeared in the first Jurassic Park film and Chris Pratt will be playing a hero character and an expert in the scientific field that the film is connected to. IGN: Writing and directing a Jurassic Park movie is a pretty big step-up from Safety Not Guaranteed in terms of scope and scale. What’s been the biggest challenge thus far? Colin Trevorrow: Getting the script right was the tough part. There are a hundred different ways to tell any story, finding the right one takes persistence. Jurassic Park movies don’t fit into a specific genre. They’re sci-fi adventures that also have to be funny, emotional and scary as hell. That takes a lot of construction, but it can’t feel designed. The characters have to be authentic, the situations real. Derek [Connolly, co-writer on the film] and I started with a blank page and worked all the way through the summer. The process got easier when we decided not to rush to meet that 2014 release date. There just wasn’t enough time. Steven [Spielberg] had the foresight to make that call, the studio was supportive, and I couldn’t be more grateful. IGN: Can you tell us anything about how the film will look? Trevorrow: We’re shooting 35mm and 65mm film. We’re also using an aspect ratio that hasn’t been seen theatrically in a very long time. The movie will be presented in 2 to 1. It’s basically a middle ground between 2.35 and 1.85. It allows us enough height to fit humans and dinosaurs into a single frame, without giving up that sense of scope. It’s very close to the ratio of the digital IMAX screens, so it will look great in large format. I think other filmmakers will want to give it a try when they see how it looks. It’s very comfortable. Trevorrow: I know a lot of fans want to see the original characters back. They’re iconic. But I respect those actors too much to shoehorn them into this story for my own sentimental reasons. Jurassic Park isn’t about the bad luck of three people who keep getting thrown into the same situation. The only reason they’d go back to that island is if the screenwriters contrived a reason for them to go. But there is a character from the first film who makes sense in our world. This hasn’t been announced yet, but BD Wong will be returning as Dr. Henry Wu. He had a much larger role in the original novel, he was the engineer of this breakthrough in de-extinction. He spent two decades living in Hammond’s shadow, underappreciated. We think there’s more to his story. IGN: What can you tell us about Chris Pratt’s character in the movie? 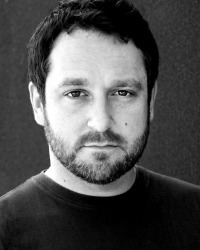 Trevorrow: He’s a classic hero in a very modern context. He’s the guy who will get you through the jungle alive – but like Malcolm, Grant and Sattler, he’s an expert in a scientific field that’s connected to our story. The character allows us to explore some new ideas about our relationship with these animals, without losing the humor and sense of adventure. He’s a great contrast for Bryce Dallas Howard’s character, who starts off very corporate, very controlled. Until the running and screaming starts. Then they need each other. IGN: How will your Jurassic movie differ to the previous films? Colin Trevorrow will be directing Jurassic World and the movie will be released June 12th, 2015. The film stars Chris Pratt, Bryce Dallas Howard, Jake Johnson, Nick Robinson and Ty Simpkins. Keeping reading this website for all the latest Jurassic World News and rumors on the Jurassic World movie. Be sure to check out our Facebook group and Twitter page. This article was posted March 18, 2014 at 7:15 pm.